Ex-president John Dramani Mahama turned 59 today. And as usual his admirers and supporters took to social media to celebrate him on his birthday. Others, including celebrities and former appointees also storm his residence to celebrate with him. 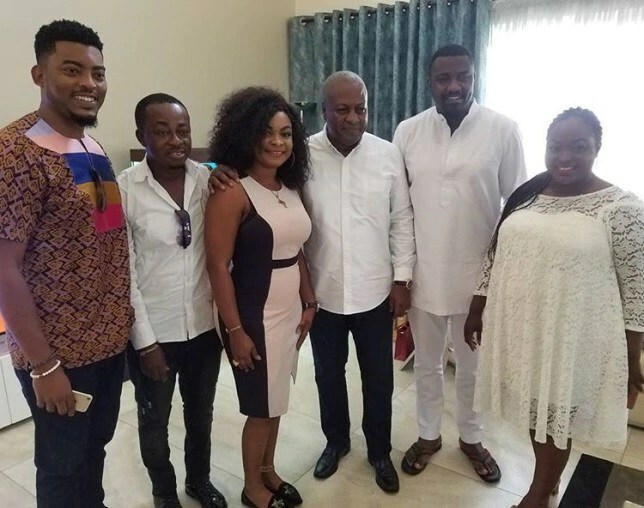 John Dumelo, Roselyn Ngissah, James Gardiner and Beverly Afaglo were spotted hanging out with Mahama today at his residence. They took to their social media accounts to share the pics.